Travelling is cultural immersion. Some people do consider preserving the environment as a priority while planning for their next trip. In fact, we all know about the importance of cycling for health and for creating sustainable cities and communities that encourage carbon-free transport, so why not a carbon-free tourism? Riding a bicycle in the Middle East may be a little bit challenging and not so popular. Cycling culture was eradicated ever since the automobile became the main mode of transportation in the region, and eventually, the use of bikes died out. In an attempt to make Palestine a destination for travelers, and with a strong belief that using bicycles is the ultimate eco-social innovative solution for an alternative transportation, Siraj Center has set up a cycling program which quickly attracted the wanderlusts of the world. 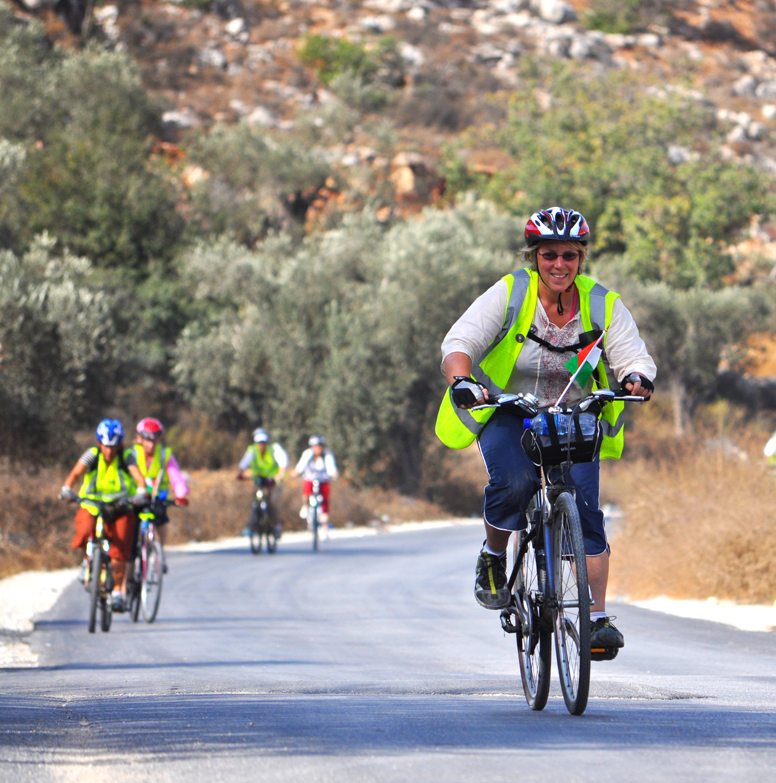 Bike Palestine became the only long-distance tour combining cycling & sightseeing through the country. Founded by lovers of two-wheelers since 2004, Bike Palestine began its journey by offering programs that are environmentally sustainable and socially responsible, allowing people from around the world to meet locals, embrace new cultures and riding a bike, to be more into the green action! 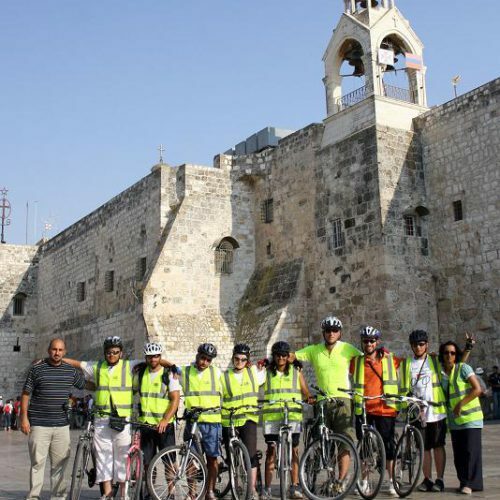 Bike Palestine offers a range of 7-day road tours across the country, bikers have the opportunity to visit a new city every day, cities like Jenin, Nablus, Taybeh, Jericho, the shores of the Dead Sea, Mar Saba, Bethlehem, Hebron and Jerusalem. With its emphasis on using bicycles more for transportation, Bike Palestine strives to be as eco-friendly as possible and not only to promote cycling culture in the region but also to create a real connection between locals and bikers, making the contact more real and putting money directly into the local economy by allowing tourists to spend their cash on locally made products from traditional artisans restaurants, cafes, markets and savoring the tasty variety of street food and enjoying genuine historical spots along the way. In addition to health benefits, riding a bike is a clean way to see the country through an eco-friendly eye. And so, the main focus of Bike Palestine is to enrich each of its guests with a unique experience and raising awareness amongst tourists about the possibility to switch to bikes.